Komondors, also known as Hungarian sheepdogs, have a strong instinct to herd and protect livestock. 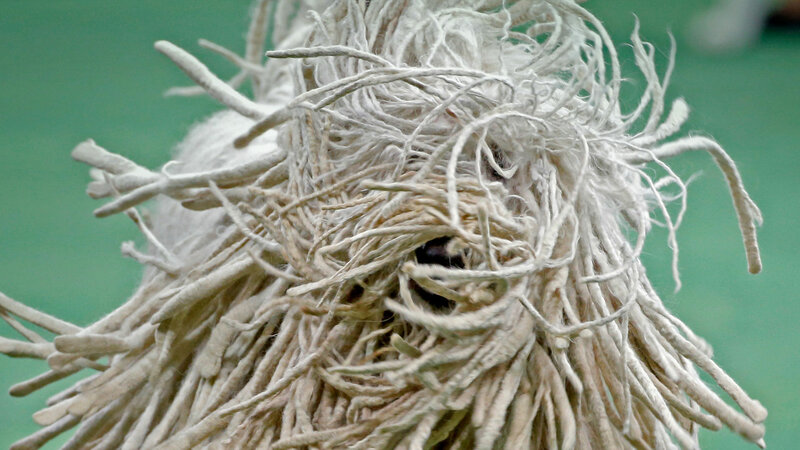 They’re famous for their distinctive coats—when left untrimmed, a komondor’s fur ‘cords’ up, creating the unusual, mop-like appearance seen here. 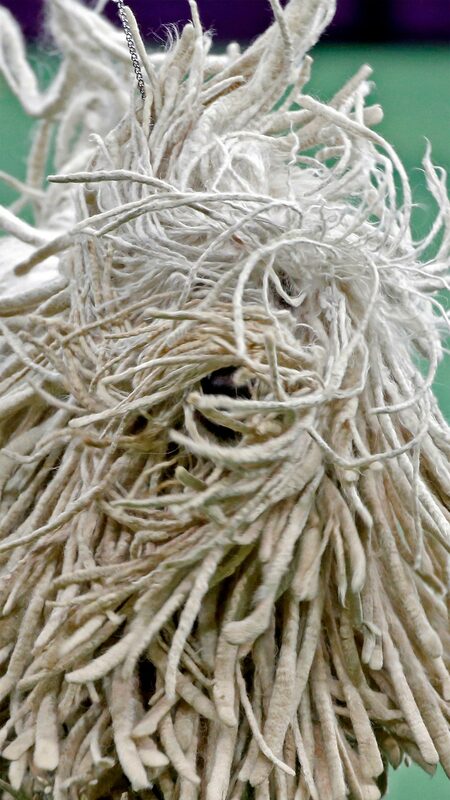 The Komondor in this photo was competing at the Westminster Kennel Club Dog Show at Madison Square Garden. The 2019 Westminster competition begins today.